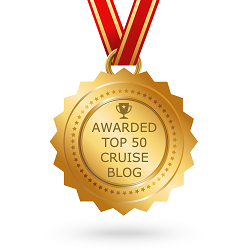 There are hundreds of articles out there that talk about how to stay fit and healthy whilst on your cruise but not all of us want to go on holiday and sweat it out, some of us just like to sit and do nothing whilst onboard and I am one of those people. I could lie by telling you I visit the gym everyday whilst onboard but the truth is me and gym, we don’t get along too well and if I was going in that direction for anything it would be because there’s a bar nearby. I could also tell you I enjoy running round deck 7 at 6am every morning but to be quite honest I can’t think of anything worse! 1: I shall let you in on a little secret, I checked and, believe it or not nowhere in the booking confirmation documents does it mention that you MUST eat 7 meals a day, it really is optional. I know I was shocked too but, you don’t NEED to eat everything in sight and it is OK to leave more than 4 hours between dining room visits…..therefore I suggest you do. 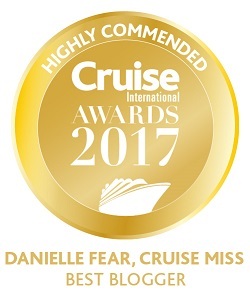 We ALL know that some of us whilst onboard revolve our lives around food and really, it’s not good folks! 2: If you can’t be bothered to walk up the stairs then at least try and walk down them. I attempted walking up 9 decks last cruise and by the time I reached the top I thought I was going to pass out. No words could leave my mouth and once I reached the bar all I could do was point. From that moment on I decided it was far safer to take the lift up and the stairs down. 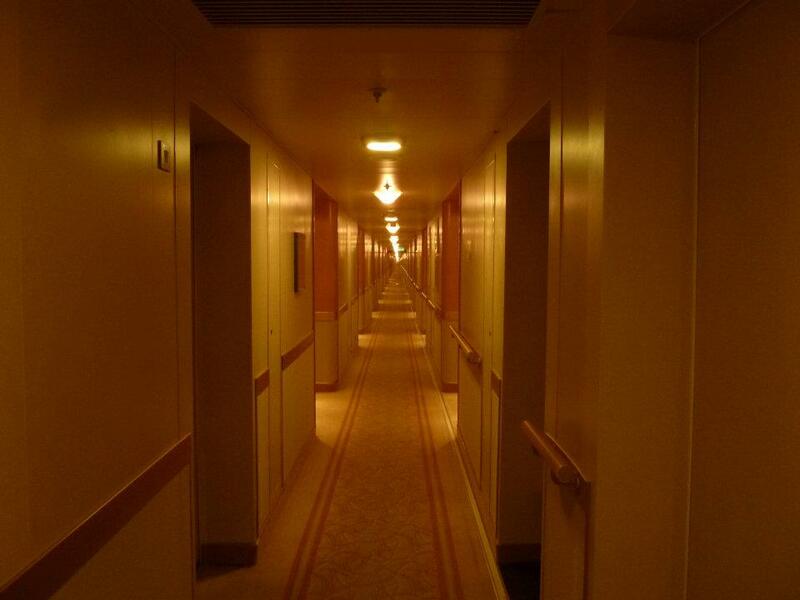 3: When walking from the front of the ship to the back try and do it on one of the cabin decks. The walk feels ten times longer than it does if you take the lido deck route, hence tricking the mind into thinking you have walked further! Try it; those beige walls do weird things to ones brain! 5: Wake up feeling fresh and new (after all that sea air) and with the desire to join friends that do the deck laps? Then go for it, pick a spot on deck 7 that has a clear run from port to starboard and off you go. You can keep up with your friends who are doing laps by doing your “widths”. You even get a break in between as you wait for them to make their way back around. So there you have it! I know they are pretty bad but hey, at least it’s something. On a more serious note though we do all need to exercise in one way or another. Although whilst onboard I prefer to do the absolute bare minimum of anything including breathing it’s a different story once I get ashore. I like to take part; I enjoy swimming and the more walking the better! It’s all about balance, remember that people! 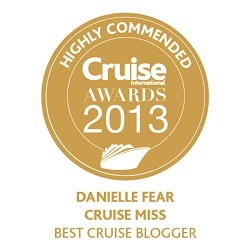 You can nominate me for Cruise Blogger of the Year by visiting the Cruise International website. What an attrocious waste of space in that top photo. 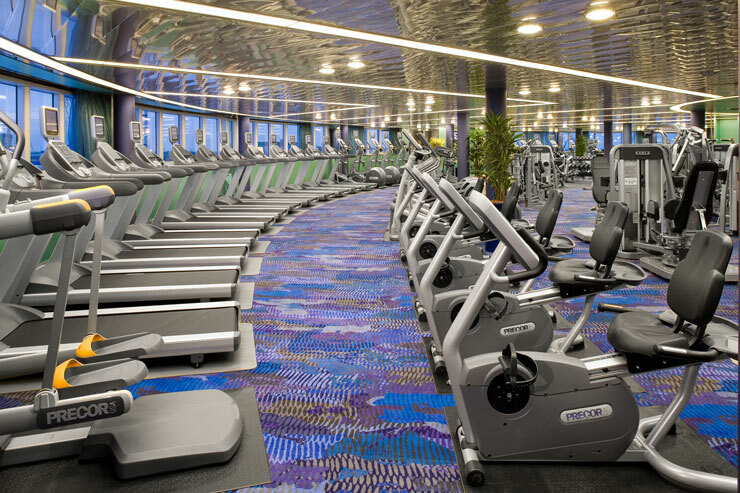 That area should be an observation bar and the treadmills should be deep down inside the ship somewhere, not taking up forward-facing windows! 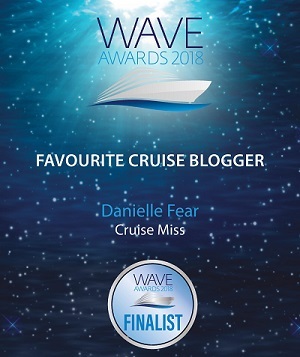 Great tips on how to stay fit at sea, Danielle. I must say I try to do “most of those”. However it is usually ruined in the evenings after a trip to the late-night-buffet for some sweet treats!